chicken | Live Cheap, Feel Rich! Happy Wednesday & Happy Freezer Meal Day! I’ve heard a lot about freezer meals that Pinterest’ers refer to as ‘dumps’. A ‘dump’ is when you pre-prepare a meal, freeze it, and simply dump it in a slow cooker to complete. They’re simple, convenient, and silly-easy. I thought that today, I’d bring you in on the ‘dump’ theme with 3 recipes that follow this protocol. Dump the following ingredients in a gallon size freezer bag and squeeze out as much air as you can and seal: 1 clove crushed garlic, minced ginger, soy sauce, brown sugar, cider vinegar, rice wine vinegar, 4 boneless, skinless chicken breasts. Freeze. To cook, defrost overnight (or you could always go from frozen and just increase your cooking time). Take your bag and dump into a greased baking dish. Cook at 350 in a preheated oven until done. Usually this will take 25-35 minutes. If you want to cook in a crockpot, cook on low for 6 hours or high for 4 hours until chicken is no longer pink. MommySavers provides us with such a great recipe here – an all-time comfort food. And it’s easy! 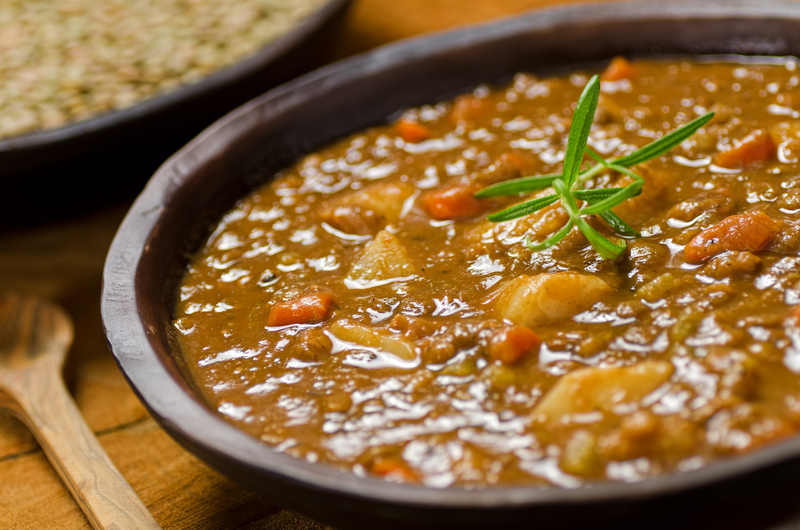 Simply add the following ingredients, raw, into 2 bags: cubed stew meat, 1 small-medium white onion, 2-3 stalks of celery, 30 baby carrots, 1 cup frozen peas, 8 baby red potatoes, 1 can diced tomatoes. You’ll then need to prepare and mix a sauce: tomato sauce, tomato paste, garlic, garlic and herb seasoning, pepper, and beef bullion. Pour sauce divided into each of the two bags, zip up, and freeze. When you’re ready to cook, thaw in the fridge overnight, pour into crock pot, and cook on low 6-8 hours or high-3-4 hours. Then you’re ready to serve! Not only does this recipe have a fun name, but it’s just insanely easy! All you need for stickin’ chicken are boneless, skinless chicken breasts, 1/4 cup of peanut butter, soy sauce, garlic powder, cayenne pepper, and salt&pepper. Add all to a bag, zip up, and freeze. When you’re ready to cook, preheat your oven to 350 and bake for 35-40 minutes. If you want to crockpot, cook for 6-8 hours on low or 3-4 hours on high. Easy, easy! Enjoy. Can’t even believe it’s already Wednesday! Also can’t believe it’s the 8th week of Freezer Meals here at LCFR! Time really flies. I’ve found some great recipes this week. The theme this week? Healthy chicken! These are all freezer meals that satisfy even the pickiest of eaters, as well as meals that are essentially guilt-free. Enjoy! HappyMoneySaver promises a crunchy chicken strip with their tried and true recipe. The secret? Italian style panko bread crumbs. They’re crazy easy – grab 3 bowls and add flour, salt, and pepper to the first, eggs to the second, and Italian-style bread crumbs to the third. Slice up a chicken breast into strips and dip first into the flour mixture, then the egg wash, and then the bread crumbs. After the chicken is coated in the panko bread crumbs, place the chicken on a parchment covered baking sheet, and place in freezer for 2-3 hours or until frozen solid. Then, transport them into a freezer safe Ziploc bag and freeze for future use. 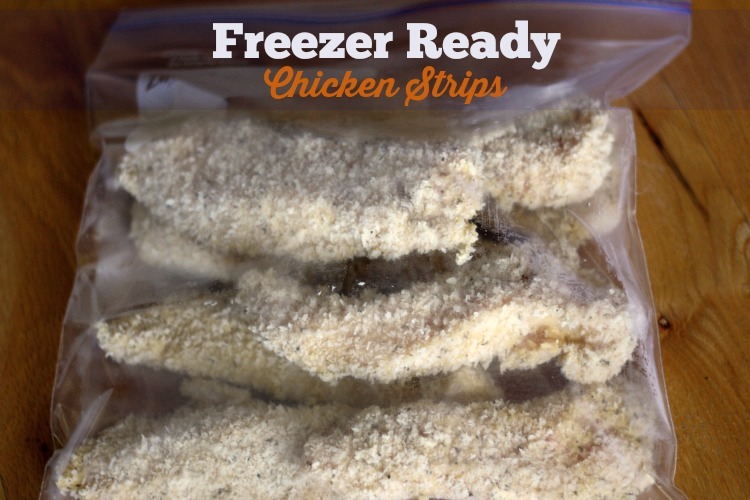 To bake, simply place the frozen chicken strips on greased or parchment covered baking sheet and bake at 350 degrees or for 30 minutes until cooked through. Serve with the dipping sauce of your choice. Our family loves honey mustard! Freezer Friendly blog promises an insanely easy and delicious experience with this recipe. If the promise isn’t enough, you could always refer to the fact that this recipe only requires 4 ingredients! 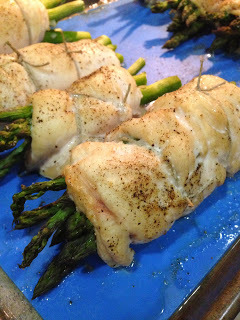 All you need are chicken breasts, 1 head of garlic, 2 bunches of asparagus, salt & pepper. First, you take the chicken breasts and filet them. Place inside a plastic bag and pound them thin with a mallet (or anything you have handy!). Stick 5-6 sprigs of asparagus into the middle with chopped garlic, salt, and pepper. Tie it up with some kitchen twine. Wrap each individually in foil and freeze! When you are ready to cook them, unwrap and cook in oven on 350 for 35-45 minutes until golden. Pretty simple, don’t you think? Can’t wait to try this one! 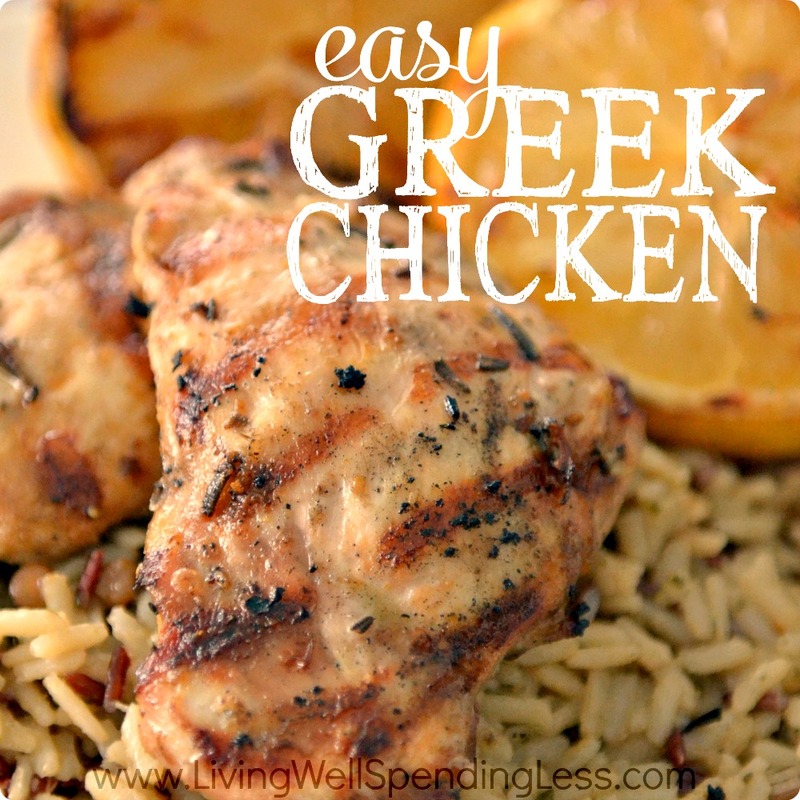 LivingWellSpendingLess gives us yet another crazy easy chicken recipe that’s immensely freezer friendly. Here’s what you need: lemons, olive oil, garlic, salt, pepper, cracked red pepper, fresh rosemary, boneless chicken breast. Whisk together all the ingredients and divide into freezer bags. 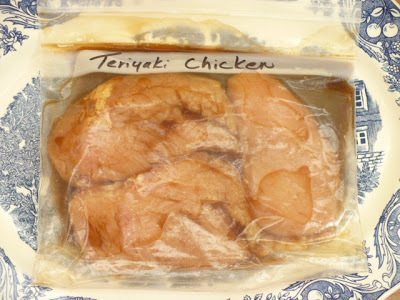 Marinate the chicken in bag for 30 minutes or longer (if you want to go straight to cooking), or, if freezing, simply press air out from the bag and toss in the freezer. When you’re ready to cook, thaw if frozen and grill 7-8 minutes per side, basting with additional marinade. Alternatively, you can pour the contents into a slow cooker and cook on low for 4-5 hours or on high for 2-3 hours. And wait – another option! Place in casserole dish and bake at 400 degrees for 30-40 minutes. We like this served over rice with a side salad. Perfect meal! There you have it for this weeks freezer recipes! Let us know how you like them! Happy Wednesday, everyone! Wednesday before the final summer holiday weekend = grill/BBQ-themed freezer meals. In looking for some inspo for long weekend eats, I think I found some awesome options. Let’s jump right in! Living Well Spending Less gives us a recipe that they claim will take us straight to a tropical vacation. To make this a freezer meal, simply split the marinade and chicken into multiple bags, and throw it right into the freezer. You don’t HAVE to make this ahead of time, but if you want to, it doesn’t hurt! This is super easy – marinade includes 3-4 limes, olive oil, coconut milk, garlic, ginger, salt & papper, and parsley. Combine and marinade with chicken of your choice! If you decide to freeze at this stage, make sure you press all the air out of the bag. Once you’re ready to cook, thaw if frozen, and grill 6-8 minutes per side. Couldn’t be easier! 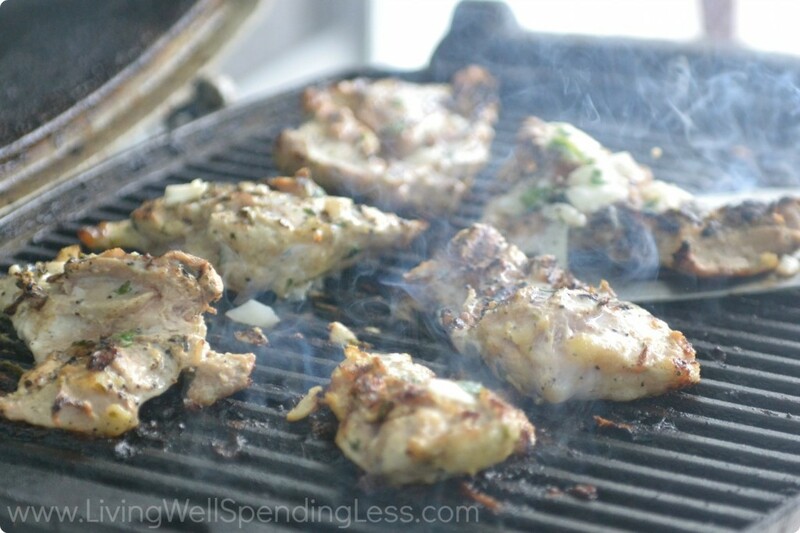 HappyMoneySaver.com gives us a recipe that couldn’t scream BBQ any louder. This is a slow cooker freezer meal, so may take more prep work, but it’s worth the squeeze for this hearty meal. 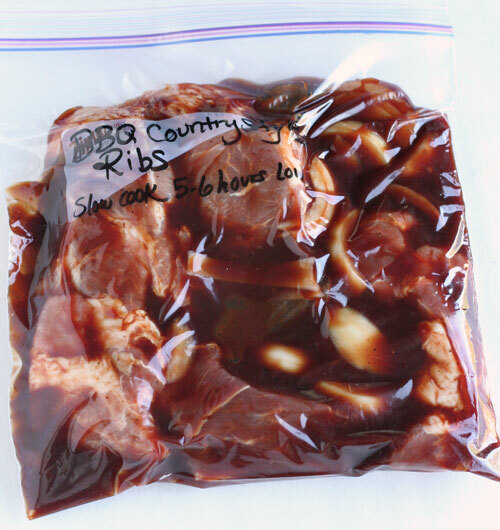 Ingredients are simple: boneless pork country-style ribs, a large onion sliced, minced garlic, brown sugar, applesauce, BBQ sauce of choice, salt & pepper. Add all ingredients to your slow cooker and mix. Cook on low for 5-6 hours. To freeze in advance, all you need to do is combine all ingredients and add to a freezer safe gallon sized bag. To cook, thaw + throw in the slow cooker as directed. Once you’re done, top with some additional BBQ sauce and you’re good to go! Even though this is an awesome holiday weekend meal, I’m pretty tempted to make this a freeze & go weeknight meal for a busy week – total crowd pleaser and easily served with some quick sides for a meal! I know we all love the classic grilled hamburger, but I love the spin that OneHundredDollarsAMonth puts on this classic recipe. These are super easy to make in a huge batch and freeze. All you need to do is grab them out of the freezer, toss them on the grill, and kick any BBQ up a notch from there. Ingredients include baby spinach, chopped, garlic, olive oil, ground beef, crumbled blue cheese, salt & pepper. Saute the spinach, garlic, and olive oil and allow to cool. Combine with the rest of the ingredients and form into rounded patties. 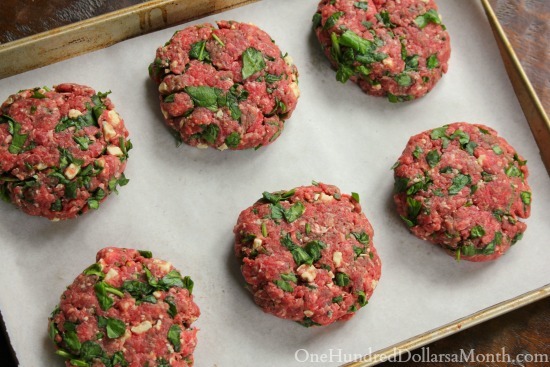 Lay the formed patties onto a parchment lined cookie sheet and freeze for 30 minutes – then transfer to freezer bags. Once you’re ready to cook, remove from freezer and throw on the grill as is until cooked through – no need to thaw! Serve on warm buns with any additional toppings you’d want. Love this! Can’t leave out my fellow veggie lovers! This recipe is a simple side for any dish – and couldn’t be easier! OnceAMonthMeals brings us this hearty veggie side that I cannot wait to try. 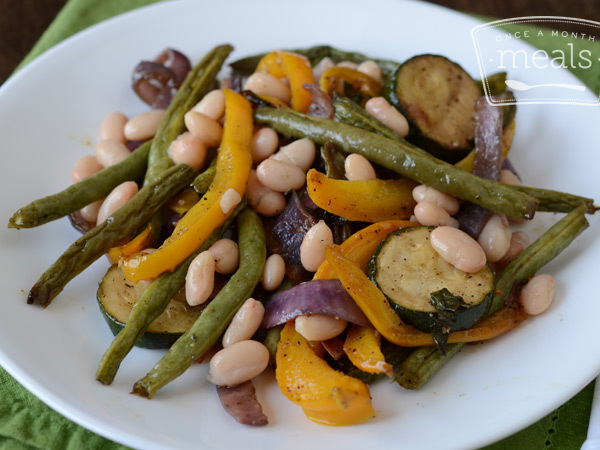 Ingredients include green beans, zucchini, red onion, garlic, basil, bell pepper, canned Great Northern beans, olive oil, balsamic vinegar, salt & pepper. If you’re looking to freeze, place all veggies and beans in a large bowl, whisk together liquids and spices in another bowl. Bag veggies and sauce separately and freeze. Once you want to serve, thaw & pour sauce over veggies. Stir until combined. Place in a grill basket and grill over medium heat for 15-20 minutes. So there you have it! Enjoy these recipes and enjoy the long weekend. Cheers! It’s that time of week! Dug up some really fabulously freezer friendly meals this week for you all. With a short week coming up due to Labor Day next week, I totally foresee myself capitalizing on the ‘ole freezer meals. 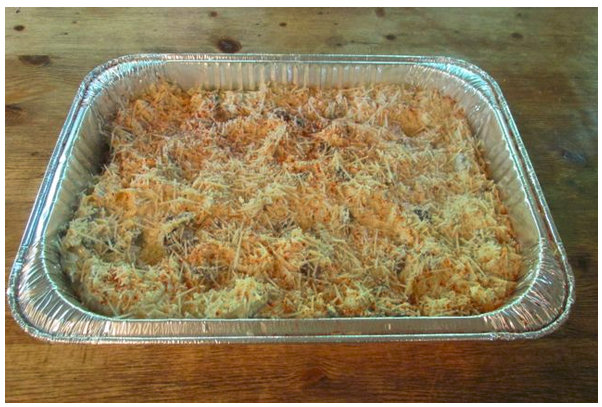 FamilySavvy.com gives us a GREAT recipe here for chick tetrazzini – perfect for making ahead! Definition of comfort food, chicken tetrazzini involves pasta, chicken, mushrooms, cream of chicken, cheese, and some spices. It’s creamy and delicious, but doesn’t make you feel totally gross and heavy afterwards. It’s a miracle! If you want to cook ahead and freeze for later, she gives some great freezer tips. First and foremost, cling wrap. This goes directly on top of the assembled, but uncooked, tetrazzini and tuck into the corners of the pan – this prevents ice from forming on top and freezer burns. Also recommended are disposable containers – they’re easiest and don’t require scrubbing and cleaning. 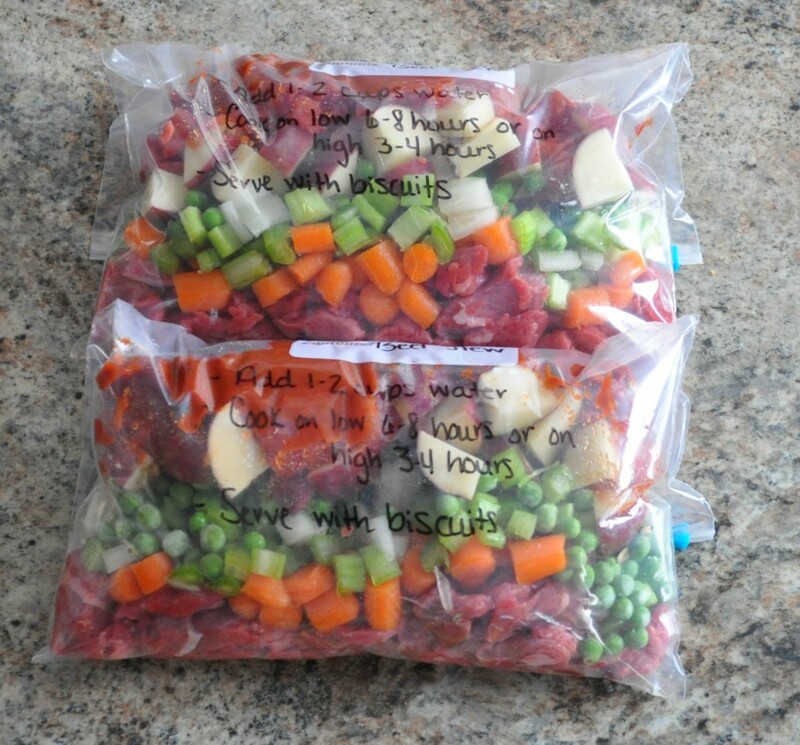 Final tip – freezer bags. After cling wrap and tin toil, a freezer bag can provide just one more layer of protection from freezer burn. Once you’re ready to unfreeze, place in the fridge a day or two before serving, remove all wraps, and bake for about an hour at 350…voila! CozyCountryLiving.com provides us with an awesome soup here – loaded with veggies, hence the namesake. Sometimes I worry that a lot of the freezer meals tend to be unhealthy – with this one, unhealthy isn’t even a word that crosses my mind. This is chock full of nutrients and leaves me feeling light and fresh. Perfect! 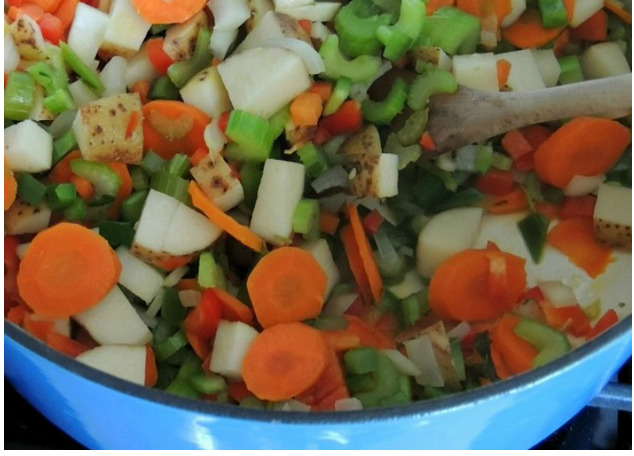 Prepare the soup in a dutch oven and toss in all the goodies – fresh carrots, green & red peppers, tomatoes, onions, garlic, celery, green beans, broccoli, mushrooms, potatoes, peas, and corn – WHAT A MOUTHFUL, literally. Season and cook as instructed – takes a few hours, but you can make a huge batch, because this is even better leftover, which is why this is such an incredible freezer meal. To freeze, simply cool to room temp and store in a plastic freezer friendly bag or container. Really couldn’t be easier! We love eating this with some fresh bread for dipping. If you miss the meat, it’s simple to add them in after the fact! Some shredded chicken or turkey sausage would be great in this recipe. Anything that comes from a blog called LivingWellSpendingLess is something that I already know I’m going to love, let’s get real. This recipe promises to come together within minutes with just a few ingredients. It is freezer AND grill friendly – perfect summer meal for a family on-the-go! 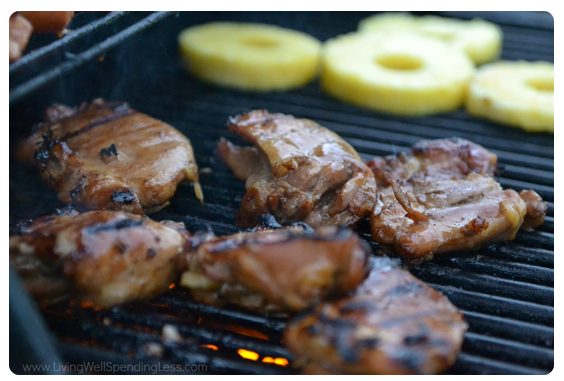 The marinade includes sweet onion, garlic, olive oil, teriyaki sauce (of your choice), pineapple juice, soy sauce, brown sugar, and black pepper. Yum! 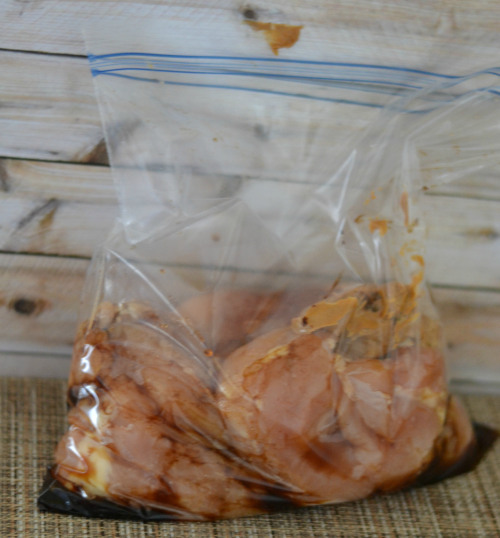 If you are freezing, simply make the marinade and throw in a freezer friendly bag with a boneless chicken breast. One tip here – don’t forget to squeeze out all the air! This will guarantee that this will last longer and taste better once you’re ready to eat this meal. No cooking required off the bat. Once you’re ready – thaw and grill 6-8 minutes on each side, basting with any leftover marinade. It’s really that simple. I can’t wait to try this one! There you have it folks – this week’s roundup! If you try any of these, please let us know how it goes and anything you would change in the recipe in the comments! We love feedback! Stay tuned next Wednesday for Week 6. It seems like every single day there is a new “national something day” – frankly, I’m not mad about it. Generally, so many people buy into it that there are TONS of deals, and, if nothing else, dinner inspiration for the family that night. So here we are celebrating #nationalchickenwingday! Black Angus Steakhouse: The National Chicken Wing Day deal, announced to those who signed up for this 45-location chain’s promotional emails, is $9 for a dozen wings and a 16-ounce draft beer. Beef O’Brady’s: Order 10 wings, get an extra five for free; order 20 wings, get an extra 10 for free; and so on. East Coast Wings: Get six free wings with every adult entrée purchase on Wednesday. Glory Days Grill: This sports bar restaurant with franchises in Florida, Maryland, Virginia, and West Virginia is hosting a special of $5 for a half-dozen wings, any style. Hooters: An all-you-can-eat wing deal is priced at $12.99 for boneless, $14.99 for traditional bone-in wings. Hurricane Grill & Wings: All-you-can-eat wings for $12.99. Ker’s Winghouse: Buy 10 wings, get five free at this wing specialty restaurant with roughly two dozen locations in Florida. Wings-N-Things: Buy one traditional wing meal with a drink on Wednesday, and a second meal (with drink) is free at this wing chain clustered around San Diego. Sidenote: I know that Hooters gets a bad rap, but frankly, I think their wings (and all food) is unbeatable among competitors. Don’t tell anyone my secret! Don’t tell the rest of the family, but these ‘skinny’ hot wings are all the taste and none of the calories. Perfect guilty pleasure without any of the guilt! You only use a little bit of flour and butter, and the rest is mostly spices and hot sauce – big flavor! They are baked, not fried, coming in at only 250 calories for 5 wings total. Not too shabby! Not all kids (or people in general) love hot wings though, so I also wanted to include a more savory, less spicy wing recipe that is well-received in our home. 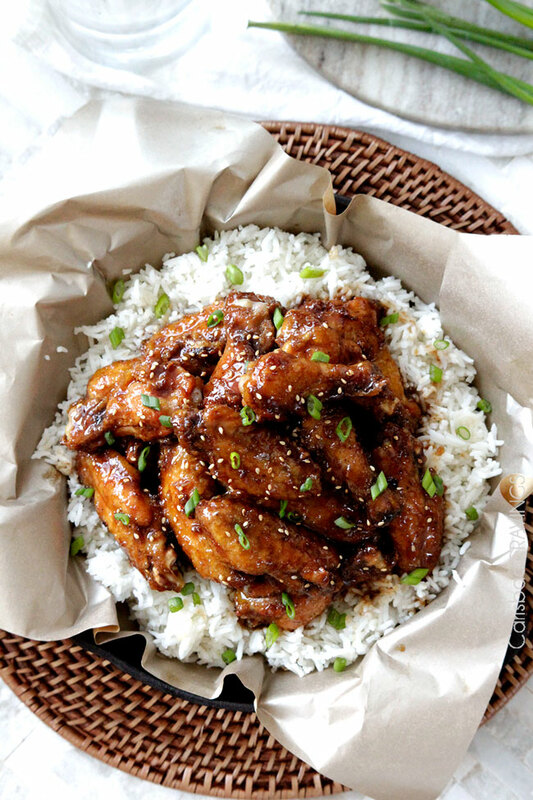 Who’s favorite meal from Chinese ISN’T General Tso’s Chicken? It is always a staple on Chinese takeout nights, but these flavors are so easy to get in your very own home. 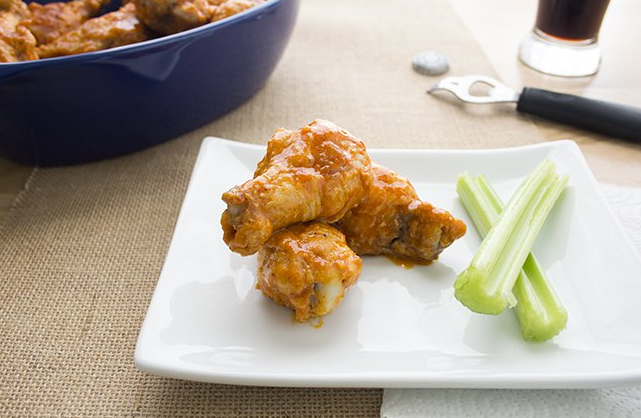 Like the hot wings, this recipe is baked, not fried. No guilt should be felt with this recipe! These are super tasty and very, very popular. Heck, make them both tonight! Enjoy yet another “day”, everyone with #nationalchickenwingday! Besides basic bills and the mortgage, my most costly expense is definitely food. I’ve been asked several times to do a post on my top ‘cheap eats’ – so here you go! Enjoy, and remember, cheap does NOT have to mean fast food! 1. 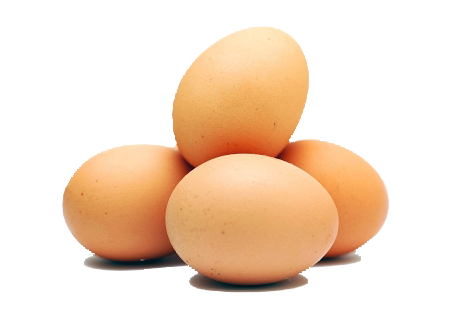 EGGS – eggs, eggs, eggs. I cannot stress enough how inexpensive (even buying organic) eggs are while still being incredibly easy to make AND make a variety of recipes with. Hard boiled eggs? Easy breakfast, egg salad. An omelette? Make it for breakfast or dinner, throw in the kitchen sink. Poach an egg? Throw it in ramen, top a boring salad, eggs benedict. Scramble some up, make a sandwich, a wrap. Anything – my absolute favorite! 2. 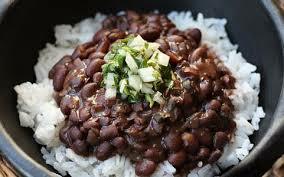 RICE & BEANS – super easy, super filling. Buy either in bulk to save extra, canned beans work just as well. Throw them together and throw in anything else you may have, leftover meat or fish, some spices, peppers, onions, tomatoes – sky is the limit. 3. 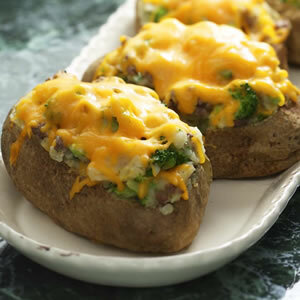 BAKED POTATOES – russet or sweet, these are extremely low cost – microwave or roast these in the oven, split open, and go to town. I generally keep frozen veggies on hand – broccoli and cheese is a favorite. Throw in some beans for a more protein packed meal. Go to town on this, the world is your oyster. 4. TUNA – maybe we all aren’t tuna people, but I sure am. 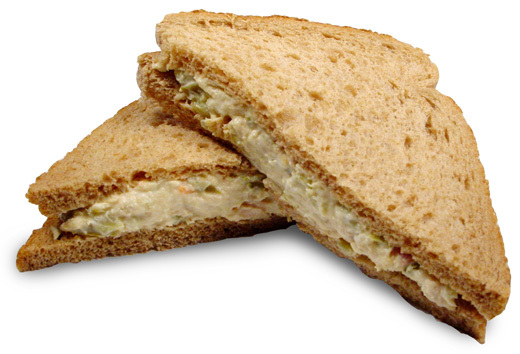 I absolutely love tuna – top a boring salad with it, throw it on some toasted bread or a wrap, etc. My guiltiest (yet still cheapest) pleasure is tuna noodles. Boil some noodles (whole wheat for some extra health), add a can of cream of mushroom soup, a little bit of cheese, tuna, salt + pepper. Thank me later. 6. 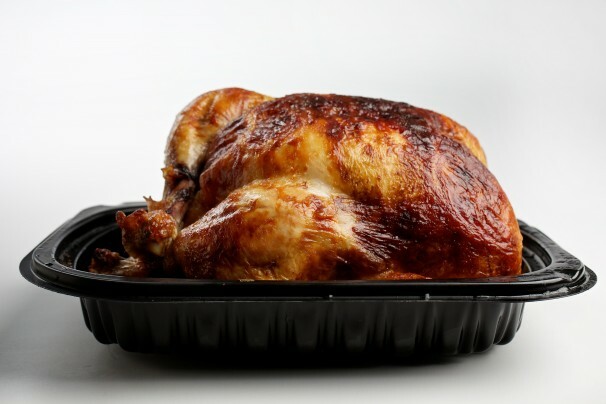 ROTISSERIE CHICKEN – though maybe one chicken won’t feed your entire family – you can do a TON with one rotisserie chicken and stretch it’s limits (not to mention, you don’t have to cook the chicken! Major time saver). Pull all the meat from the bones and make individual pot pies or a casserole. My favorite (surprise, surprise) – rotisserie chicken noodle soup. Couldn’t be easier – some onions, carrots, and celery + broth + noodles + spices and you are good to go. Done! Anything leftover? Make chicken salad for lunch tomorrow. 7. 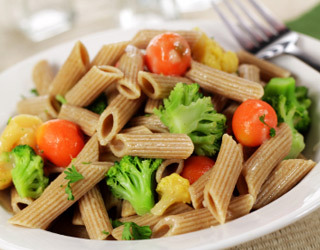 PASTA – I know, I’m treading on the edge of unhealthy here – BUT, pasta is possible to do healthy too. Whole wheat noodles? Frozen shrimp? Ground turkey? Frozen veggies? My favorite? Pasta salad. EEEEEE. 8. 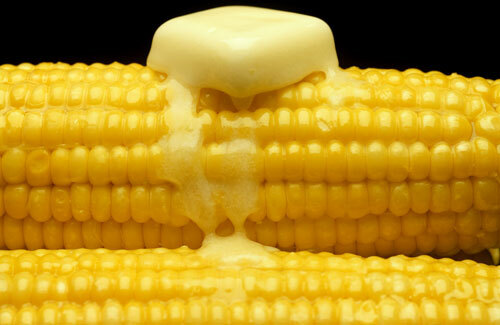 CORN – I know this isn’t a full ‘meal’ – but corn is SHOCKINGLY inexpensive, and perfect in the summertime. Grab some fresh corn on the cob and grill, boil, or bake for the perfect side dish. Go traditional and add butter, salt + pepper, or mix things up! Mexican corn is one of my new favorites.